Despite all the controversy and negative press, good things are coming out of the project, says Xcel Energy. 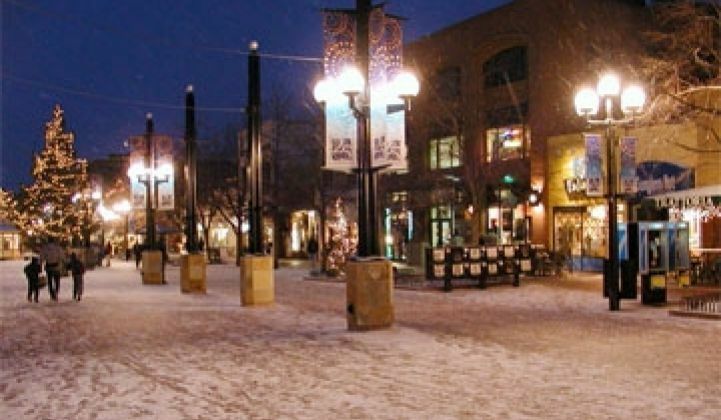 SmartGridCity, the smart grid/home automation project in Boulder, Colorado created by Xcel Energy, has received its share of lumps. The project has cost far more than expected, many prospective partners shied away from participating, and regulators, community leaders, and others have raised objections to having the cost of the $100-million-plus budget whittled down through tariffs on utility bills. "First, and most importantly, there is not a clear consensus among the members of the Boulder City Council with regard to the value of SmartGridCity in its present state or the prudence of this investment," the city stated in a public filing last month. Such is the sometimes the fate of ambitious projects. The overall project, however, has started to provide benefits to the utility and, ultimately, its customers, according to Xcel spokesperson Tom Henley. SmartGridCity, he added, consists of more than the home automation pilot. Under the project, Xcel has automated four of its five substations (one was not touched in order to allow it to act as a control group) and created a broadband-over-powerline network that reaches 46,000 power meters. Roughly half of those meters are smart meters. The new infrastructure has allowed Xcel to adopt twenty-plus applications for controlling its grid. Since 2009, a fault detection application, which anticipates when a component will fail by analyzing its ongoing performance profile, has led to 25 percent fewer transformer overloading outages in the relevant region. As a result, complaints related to voltage issues (lights flickering, etc.) have dropped from 7.1 percent in 2006 and 2007 to 5.3 percent in 2008 to 1.25 percent in 2009. "The system allows us to see voltage at a transformer level and monitor and correct it," he said. This October, Xcel will begin a time-of-use pricing pilot. Time-of-use pricing, of course, requires a network. Consumers that reduce power consumption during peak periods will get a rebate. Those that don't will see higher bills. The home automation pilot is being conducted on 1,200 homes. Right now, it's on standby until the security issues can be worked out. This data likely won't completely reverse many opinions. At $100 million, the cost of the network still comes to $2,173 per meter. While powerline has enjoyed popularity in Europe, some U.S. companies have said it is too expensive and provides more bandwidth than necessary for applications like remote meter reading and account management. Nonetheless, it does help provide a more complete picture.